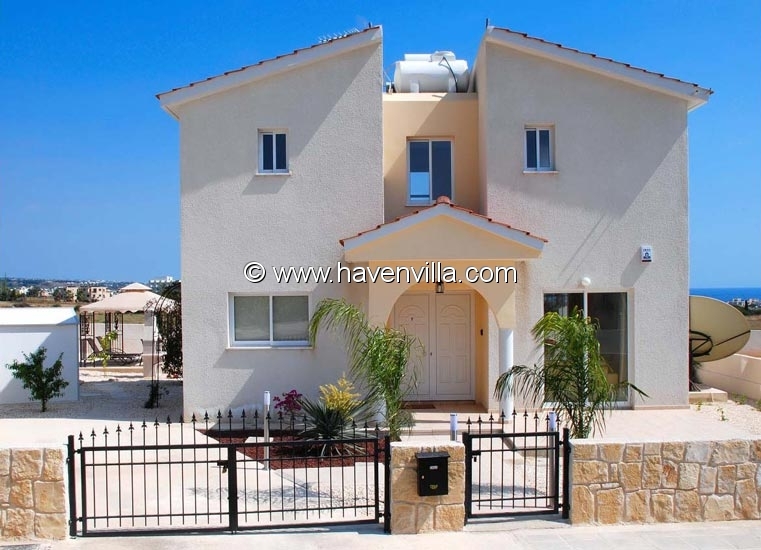 Excellent 2 bedroom villa located 5 minutes walk from Corallia Beach resort and only 10 minutes walk from Coral Bay centre the most popular of Paphos resorts. 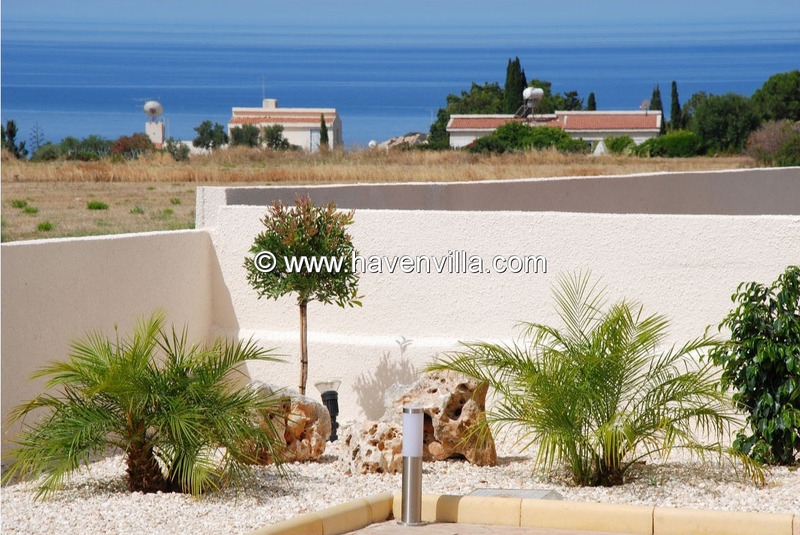 This exceptional 2 bedroom villa is very well appointed and includes TV system with British Channels, Internet connection, sofa bed and beautiful panoramic sea views. 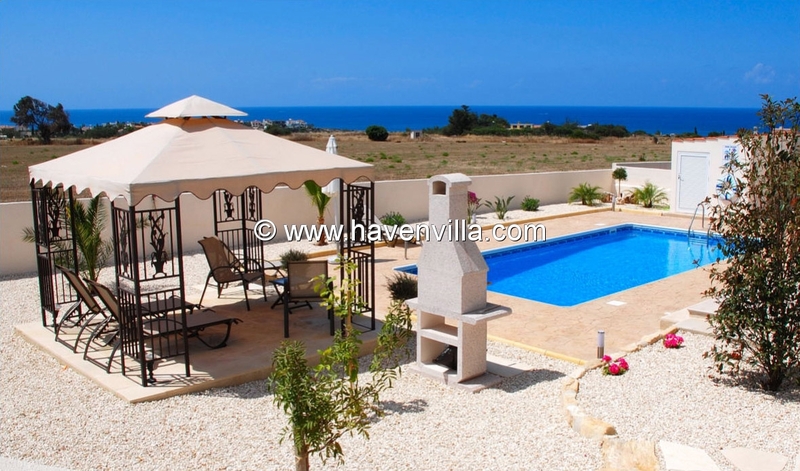 Ideally located close to Coral bay and 20 minutes drive from Paphos Town Car hire is not essential and travellers can take advantage of the frequent bus service. 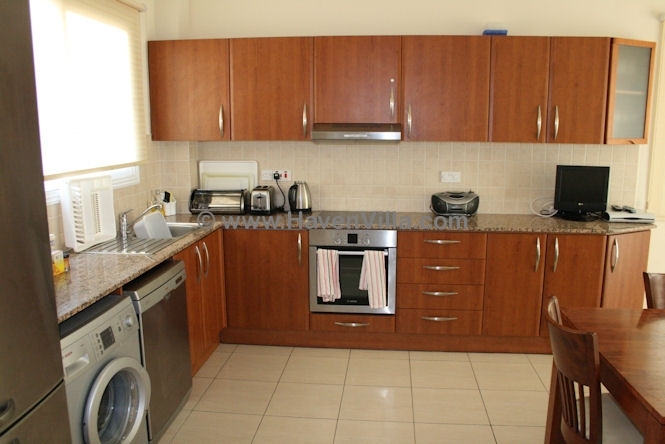 Separate large kitchen complete with dishwasher, washing machine, microwave, large fridge freezer, kettle, iron, oven and hob and plenty of cooking utensils and equipment. Large dining table seats eight. Separate lounge area with leather sofas and the additional bonus of a sofa bed which sleeps 2 persons. TV offering channels such as BBC, ITV, cartoon channels and much more. Music system and DVD player also available. Wifi internet connection is included in rental rate. Downstairs cloakroom with wash basin and toilet. 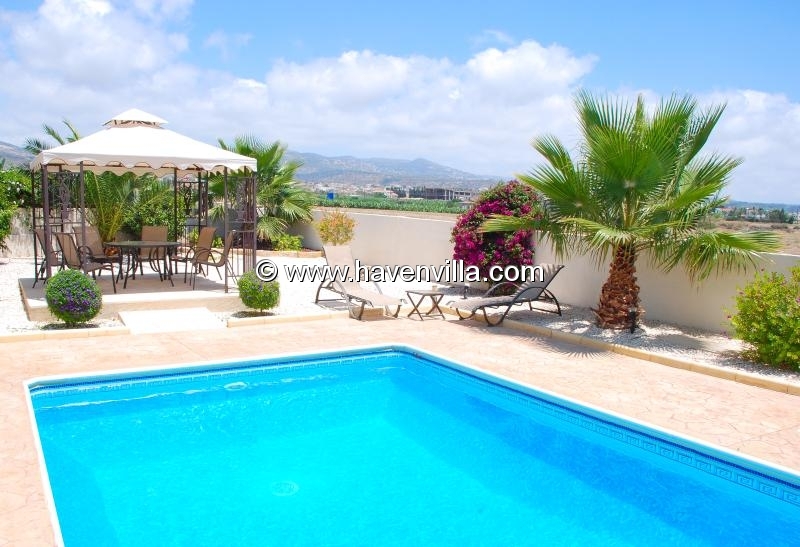 The villa is fully air-conditioned throughout which is again included in the rental rate. 2 upstairs bedrooms. 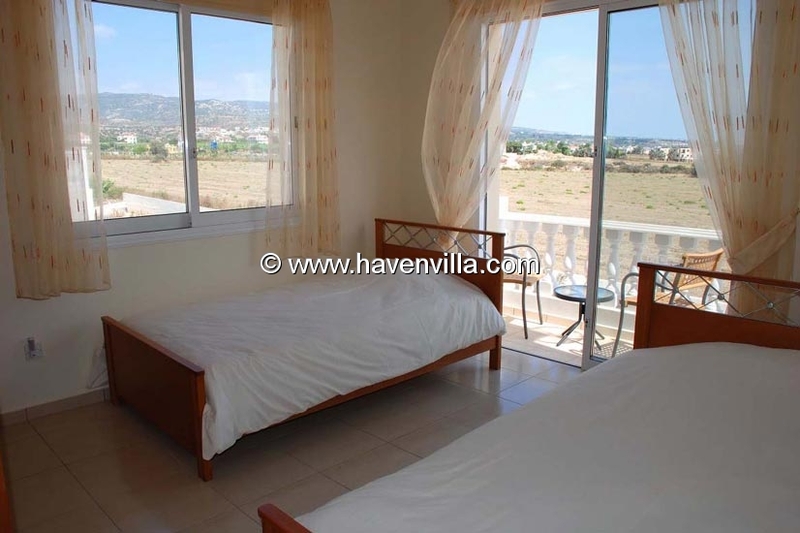 Spacious double bedded room with large windows highlighting the wonderful sea views and offers panoramic views. Built in wardrobe, large private balcony overlooking the pool and private en-suite shower room. The second bedroom offers twin beds, and a separate bathroom, built in wardrobes and private balcony. 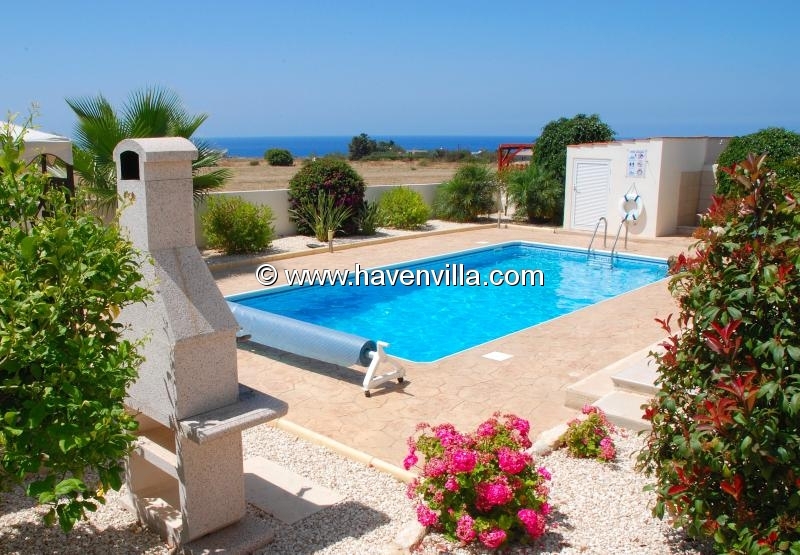 The pool area is located to the rear of the villa overlooking neighbouring fields with sea views. A beautiful ornate gazebo adorns the garden area and offers a wonderful shaded spot for relaxing during the midday sun and dining al-fresco. 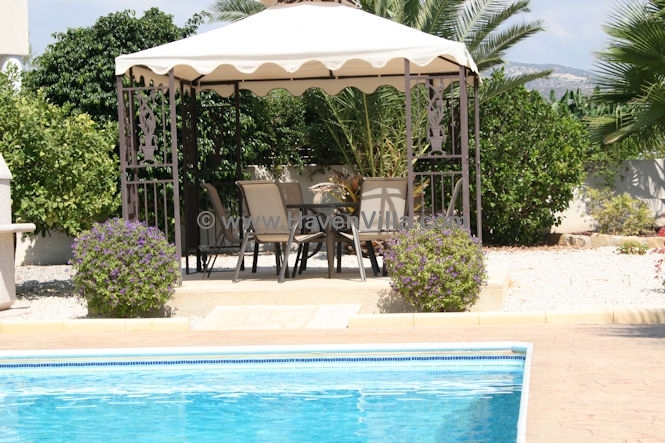 Private pool 8x4 meters, depth 1m and 1.8m built in barbecue, sun beds, parasols and garden furniture provided. 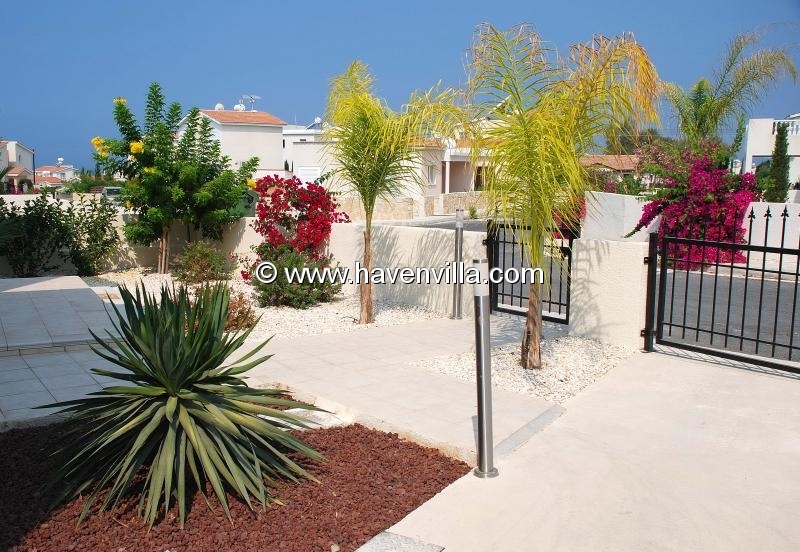 Immaculate tropical gardens add to the ambience of this lovely villa. Baby Cot and high chair provided free. Stair gates provided free on request. We had a lovely holiday at Villa 194. It's in a quiet location, but only a short drive to the perfect Coral Bay beach, and good selection of bars and restaurants. The villa was very clean and was well equipped. The private pool (which was cleaned twice during our 9 night stay) was just perfect in the gloriously hot Cyprus sunshine. The area surrounding the pool has ample sun loungers, parasols, chairs etc., and the gazebo gave a nice shaded area for anyone who wanted a few minutes out of the sun. Also a special thanks to Andros of Haven Villa Holidays for his help throughout - from the time of booking, through to arrival and on departure - he also assisted us in our car hire - very professional. 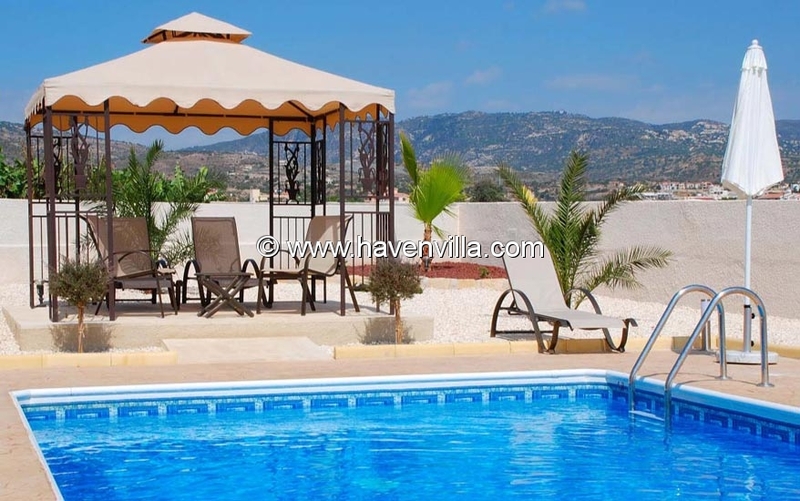 We would definitely recommend Villa 194 (and Haven Villa Holidays), and will certainly return to Villa 194 sometime in the not too distant future. 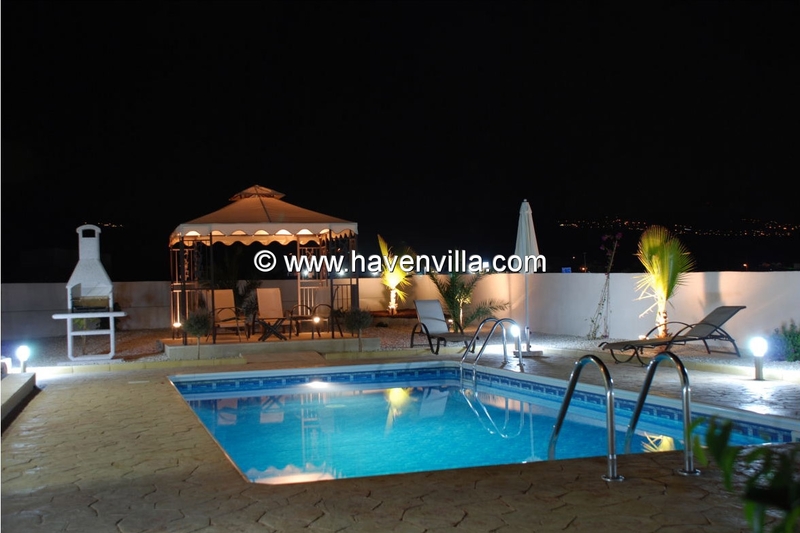 We stayed at villa 194 in April 2013 & 2015 and the whole process of booking it through Haven Villa 's was a pleasure, especially dealing with Andros who was extremely helpful and nothing was too much trouble. When we arrived at the villa on both occasions there was a food pack such as; milk, cheese, bread, ham, tea, coffee etc which was a lovely gesture, especially if you arrive on a late night flight! 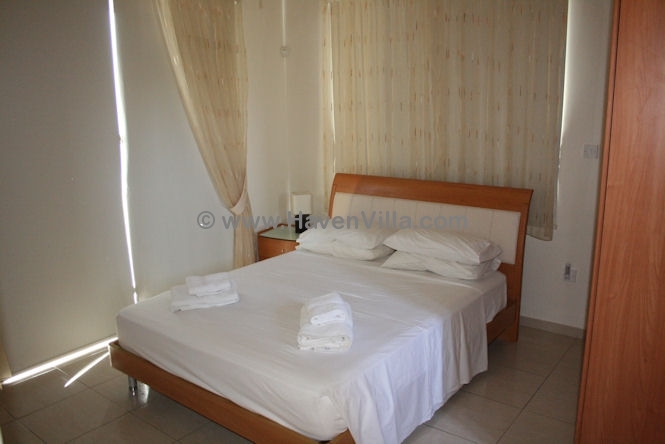 The villa was spotlessly clean and well equipped in the kitchen, also having 2 hairdryers in the bedrooms was great. The beds are really comfortable, I slept very well! 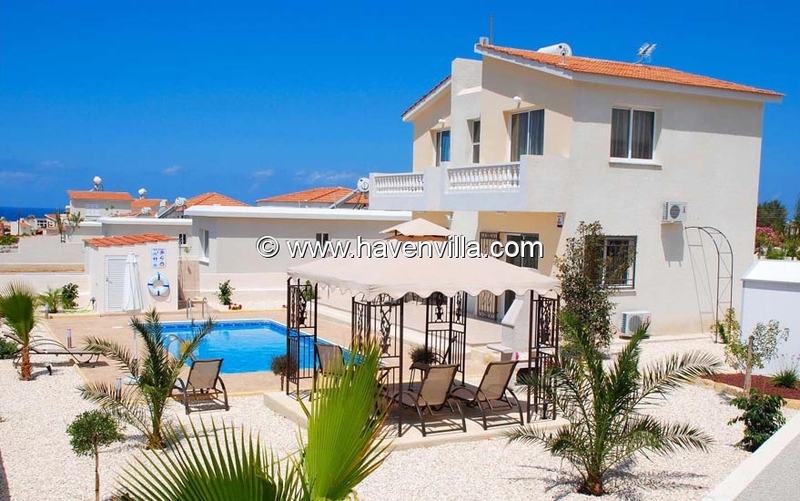 The villa it is situated in a lovely quiet residential area and extremely private with a fantastic view from both balconies and the garden, which is incredibly beautiful and so calming when sitting outside. The swimming pool was cleaned several times a week by neighbours who lived near by, they are lovely. 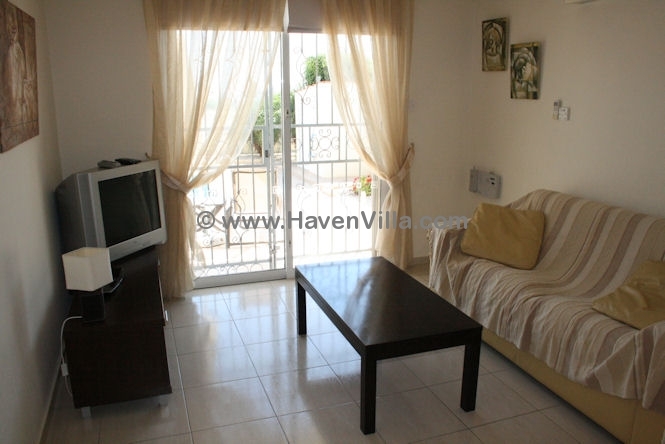 The villa is also only approximately a 10/15 minute walk to the main shops and restaurants. 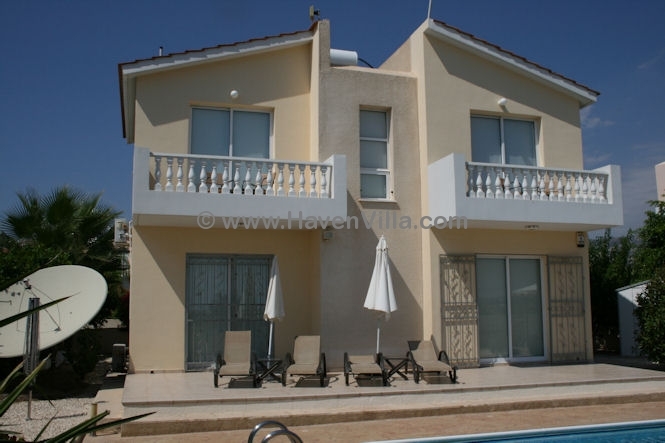 We will be booking another holiday with Haven Villas. We have just returned from cyprus and we have had a lovely holiday, the villa we stayed in was spotlessly clean we could not fault it on that point. 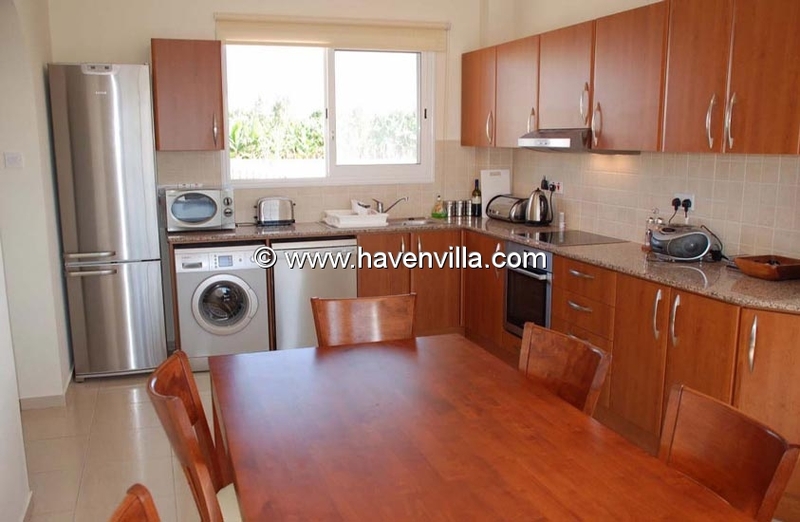 All the kitchen appliances were very good and the kitchen was very well equipped, beds were really comfy, the villa has a great view from front and back. Lynne and Alan who look after the villa and pool are great they live next door and are always on hand if you need help with something and always try to sort things out if you need them. All in all we had a great holiday and would put this villa in one of our favourite we have stayed in. wish we was back instead of being back in cold birmingham.